Engaging and interrogating the idea of a ‘Global Africa’, this book examines how African literary and cultural productions have changed over the years due to the social and political influences brought about by increased globalisation. Tanure Ojaide takes a variety of European theoretical concepts and applies these to African literature, oral traditions, culture, sexuality, political leadership, environmentalism, and advocacy, demonstrating the universality of the African experience. Challenging African literary artists and scholars to think creatively about the future of the culture and literature, this new collection of literary and cultural criticism from scholar-writer Tanure Ojaide is an essential read for students and scholars of African literature and culture. 12. 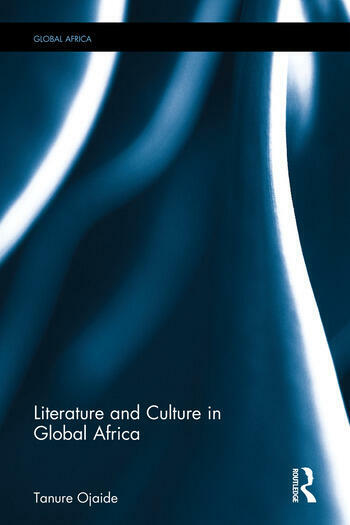 Conclusion: Towards a New African Literature in a Global Age. Tanure Ojaide is the Frank Porter Graham Professor of Africana Studies at The University of North Carolina at Charlotte, USA. He has published nineteen poetry collections, four novels, three short story collections, two memoirs and six scholarly books.